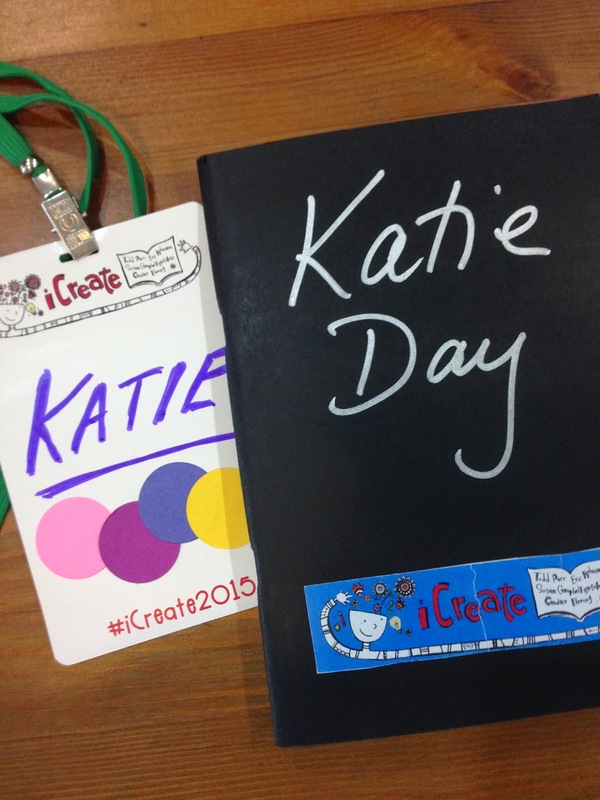 The Singapore American School librarians hosted a next-generation version of their annual children's literature conference -- now called iCreate (#iCreate2015). In addition to bringing in four award-winning authors/illustrators from the US, who each did keynotes and break-out sessions, they added extra speakers on the Friday evening and workshops on the Saturday afternoon, focusing on the creative process. Tony Ryan's website and booklet. Edward DeBono's How to Have Creative Ideas.Creativity Unpacked. SAS Keys. SAS Creativity. SAS Handouts. SAS Posters. The conference, appropriately, challenged our own creativity, starting with the decorating of our nametags and the black blank notebooks they passed out. (Though we were encouraged to swap notebooks partway through, I'm not sure anyone did. I know I'm rather attached to my own style of note-taking, no matter how boring it is....) I did try to up my game by signing up for Becky Green's doodling workshop on Saturday afternoon. See all her rich resources at tinyurl.com/sasdoodle. As far as I could tell, Barb Reid and I were the only ISLN members at iCreate. Such a shame, as it was a very fruitful weekend. Look for signs of my increased creativity over the next few months!